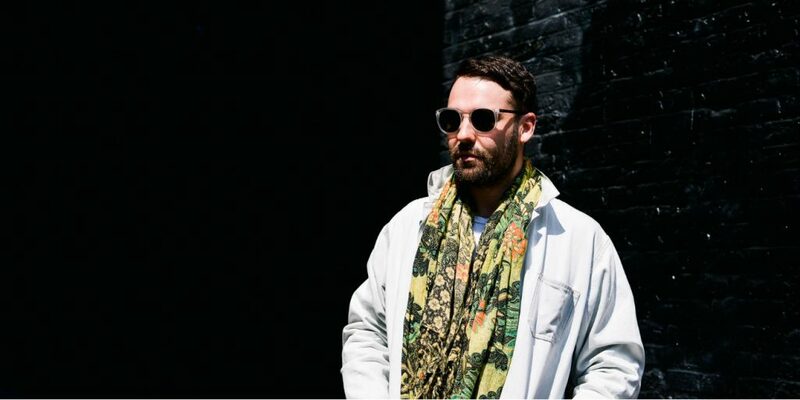 From making the top ten in the UK charts to performing with the Metropole Orkest, Ben Westbeech‘s career as a vocalist, producer and DJ has enough highlights to span lifetimes. Each of his dance releases as Breach typically differentiates itself from the next too: 2010’s underground slayer ‘Fatherless’ defied categorisation, whilst the omnipresent radio darling ‘Jack’ is as direct a club anthem as you’re ever likely to hear. The artist’s continued reinvention peaks again in 2018. After a three-year hiatus from the alias, Breach – joined by UK house don Mark E – returns with Culture. It’s also the inaugural release of his new label NKDLTD, a “series of solo records that are functional, well made, uncomplicated and uncompromising”. We caught up with Ben soon after it landed to talk influences; collaboration with Roy Ayers, Kon and Henrik Schwarz; and past, present and future. Greetings Ben! How’s life on your side? Life is pretty swell. Spring just hit amsterdam and the sun is shining and I’ve got a coffee on the go so I’m pretty happy about that. You’ve called Amsterdam home for quite some time now. How has the Dutch capital been treating you? Very well and thank you for asking. I live and work on the canals so I’m surrounded by beautiful architecture and people, and as well as having one of the richest music scenes in the world, there are great spaces of nature and places to get inspiration from, I can’t really ask for more from my life here. There is a great energy that is difficult to second and record shops to feast in around every corner. Your party collective and monthly Red Light Radio show The Wrong Planet dabbles in all manners of psychedelic curios. Which musical morsels are you particularly fond of at the moment? It certainly does… I’m glad you asked! Well there’s an album by Ralph Lundsten and The Andromeda All Stars called Alpha Ralpha Boulevard which is doing it for me at the moment, it always baffles me the recording process they had to go through in those days to make records like this. There’s also an interesting album by The Zodiac called Cosmic Sounds, which is a record of celestial counterpoint with words and music. It’s pretty trippy and the whole record goes through the sounds of each zodiac sign. But my favourite find of the past few weeks has been ‘Colorado‘ by Danny Holien on the always reliable Tumbleweed Records. Definitely worth a spin. Where do you search for musical inspiration these days? And what’s your relationship with dance music in 2018? Well I’m always searching for inspiration and to have my mind expanded by musical wizardry from any aspect of the spectrum. For the past few years I have been really into music of a psychedelic nature and that has been coming into my world more and more as I evolve on my journey. I’ve always been interested in the fusion of sounds and genres. That’s actually how the whole Breach project started off with ‘Fatherless’ as i was trying to fuse the sounds that i was hearing at FWD with the 4/4 music I was heavily surrounded by at the time. I hope to bring some other sounds into the Breach alias still, and keep pushing things forward. New label, new release: your first single as Breach in three years has just landed. What’s the ethos behind NKDLTD? Well with the Breach project it kind of went to a place that I hadn’t intended it to go, and it had purposefully been a while since I had released anything. I wanted to get back to making records that I’d started out making as Breach, so I wanted to do a series of solo records that are functional, well made, uncomplicated and uncompromising. Each with a sound of forward-thinking nostalgia. The A-side ‘Culture’ clocks in at just over 10 minutes long and features a prominent “It’s all for the culture” sample throughout. Does its length and nostalgic tone reflect where you’re at as an artist right now? Yes it totally does. As I’ve grown and evolved as a listener of music, my visions of how to make dance records have also evolved and deepened. I like much more of a journey and a less-is-more approach at the moment in terms of groove and feel. Hearing tunes that you can fully lose yourself in is my most favourite part of dance music and what started my love affair with it in the first place when I was 12 years old, listening to those early bootleg rave tapes of LTJ Bukem. With roots in neo soul, bass music and more, your live sets are hereditarily diverse. How did you foster such a panoramic approach to DJing? I am very diverse as a producer, DJ and musician. I DJ both as Breach and as Ben Westbeech so I get to play all different sorts of records. Sometimes it’s hard when I’m playing as Breach to stop myself from going too left and doing something crazy like playing space rock! But I’m a firm believer in giving the dance floor what they need but also trying to push their boundaries of what they can let go to. It’s just how you get there that’s the real fun part. And I think that for me is what it’s all about. Yes a vibe indeed! It was pretty nuts. It took me to some crazy places, I worked with some amazing artists and I’m so grateful for that to have happened. It gave me the freedom to be creatively experimental and to do projects that I’m really passionate about and that have developed me as a person and musician. You’ve recently worked with Henrik Schwarz and the Metropole Orkest for a string of performances. Some collaboration! How was the experience? And finally, what’s next for Breach and Ben Westbeech? Well I have an album that I’m about to finish with Disco aficionado Kon which has been about two and half years in the making and see’s me return to singing. We worked with Roy Ayers on it which was a lifetime goal of mine… I also just produced Sofie Wintersons new single ‘Remember’ out in May too. There’s also some work with James Zoo that we made in a wooden house in the Dutch town of Bergen that I need to finish this year. Then continue work on my next solo singing album! As for Breach: I’m starting to DJ again, I’m busy finishing the NKDLTD series and working on some interesting collaborations for the end of the year. Breach – Culture EP is out now. Get your copy via the Breach Bandcamp store.